At the tail end of 2012, We Are Augustines’ soaring debut Rise Ye Sunken Ships took the top spot on my end of year list with its compelling blend of striking honesty and indomitable energy. Now gearing up for an extensive intercontinental tour and sporting their original single-word moniker, Augustines return with a new collection of rousing anthems on their eponymous sophomore effort, Augustines. After a gentle introduction Augustines kicks off with both barrels blazing on back-to-back lead singles ‘Cruel City’ and ‘Nothing To Lose But Your Head’. Both surge along on tsunami-scale waves of energy, powered by drummer Rob Allen’s driving rhythms and invigorating choruses aimed straight at the rafters. ‘Weary Eyes’ then takes things down a notch, but still maintains the sense of wonder with militaristic drums and jubilant background vocals. While their heartland rock core of raging guitars and Billy McCarthy’s emotive holler remain intact, Augustines also explore new pastures with a focus on background choral vocals and textural synths which lift the songs and emphasise Eric Sanderson’s talents as a multi-instrumentalist. More control and restraint is on display here too, reflecting a self-assured band hitting their stride. ‘The Avenue’ is a gentle piano led ballad while mid-album high point ‘Walkabout’ builds steadily from McCarthy’s high and lonesome falsetto into an uplifting anthem full of urgency. While their debut finished on Sanderson’s tasteful instrumental, Augustines opt for a celebratory curtain call on ‘Hold Onto Anything’ (which is sure to make encore setlists in future) after the poignant ‘Highway 1 Instrumental’, echoing that Augustines is a product of success rather than anguish. Indeed, after the critical acclaim afforded to Rise Ye Sunken Ships and notable support slots on Frightened Rabbits’ recent US tour and Counting Crows’s Outlaw Road Show, it would seem disingenuous for the band to try and recapture the atmosphere of personal loss and desperation that imbued that album with such fraught energy. Fortunately, Augustines steers clear of this danger with triumphant songs that build on the positive energy and while McCarthy’s lyrics are still informed by hardship and melancholy, his focus is on the coming dawn rather than the long night. There are a few moments of over-ornateness which briefly overstep the line between grandeur and pretensions-of-grandeur, but when the songs are as sincere and immediately engaging as this you forgive them. 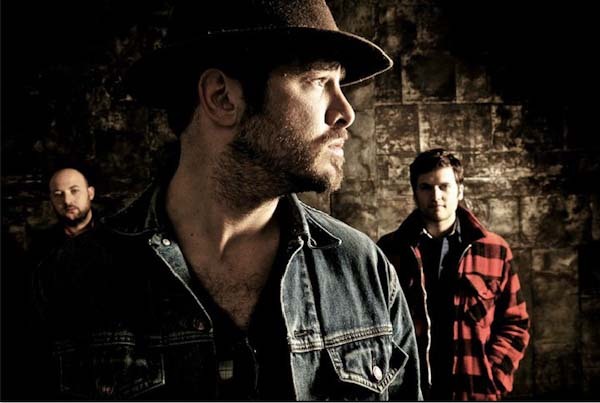 Augustines is an exhilarating followup which fulfils the promise of Rise Ye Sunken Ships. Augustines is available now through Votiv/Caroline International. This entry was posted in Album Review and tagged Album Review, Alternative Rock, Augustines, Rise Ye Sunken Ships, We Are Augustines. Bookmark the permalink.